Bitcoin is now facing a tough price rejection level at $4250. If the buyers manage to surpass the mentioned price level, a bull-run is signaled. For now, the market is on a long consolidation as price decides on the next move. Today, BTC -0.28% 24-hours trading holds a market cap of $70.5 billion with trading volume of $8.6 billion. 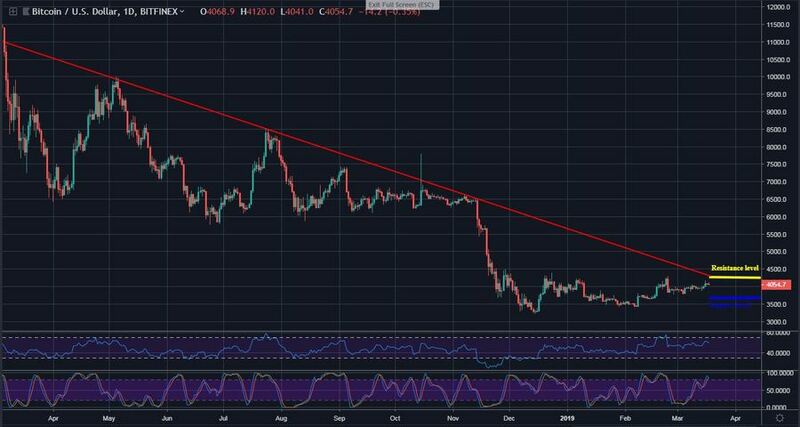 Following the long-term decline since early 2018, Bitcoin is yet to surpass the bearish zone; respecting the red trend line. However, BTC has remained on a squeeze for the past three weeks, stabilizing trading at $4,000 price level. On a side-way direction, the daily RSI shows an indecisive market. A new wave is expected to play out. 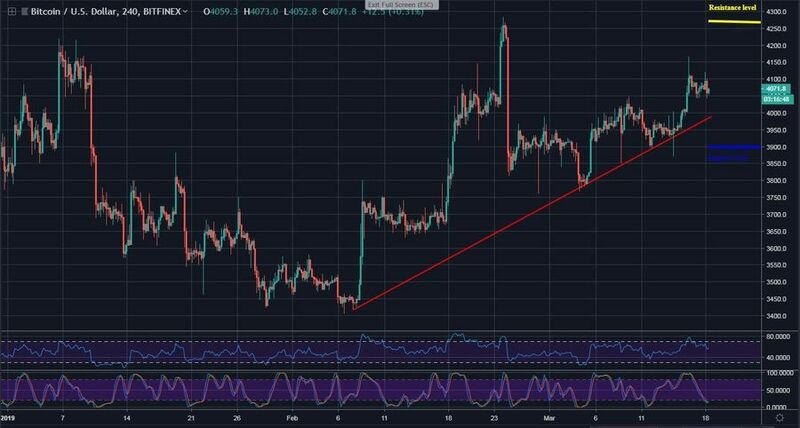 As it appears, a positive move above the red trend line could fly price to test the next resistance levels at $4, 500 and $5, 000. By then, the daily RSI would significantly trend at the highest zone; signaling a bull-run. 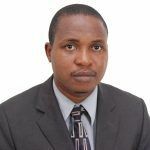 A downward move is likely to slump price to $3,750 and beyond. The daily Stochastic RSI is currently revealed in the overbought region. 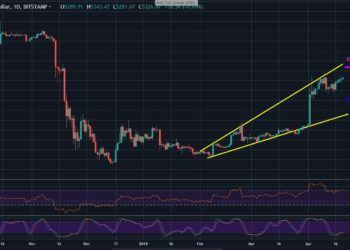 After a rise-up in February, Bitcoin recorded a high of $4250 and saw a heavy drop which lasted to $3800 at the bottom of the red trend line; as reflected on the 4-hours RSI. Since then, the coin is yet to witnesses a significant move above the recent high as trading volume remains low. 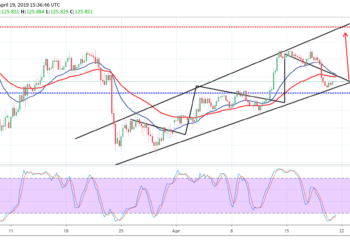 Currently, BTC price is at the oversold area on the 4-hours Stochastic RSI. A significant move in the area might signal a possible rise. The closest support level lies below the trend line at $3900. 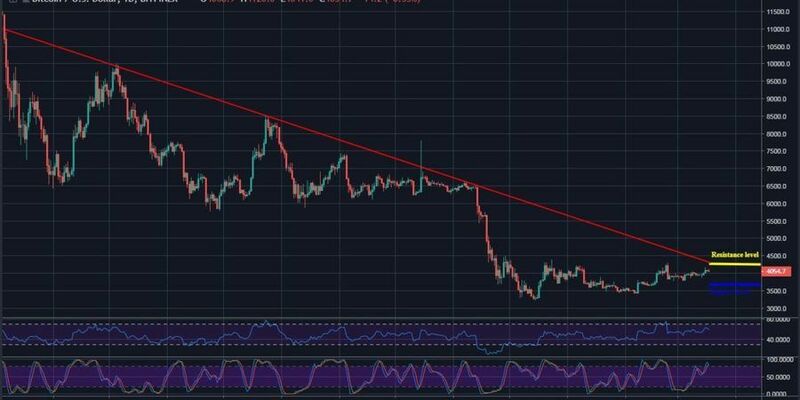 As Bitcoin still sits on the trend line, a bounce up is likely to touch a major resistance area at $4250. A break up on the said area could send the price to $4400 and beyond. However, BTC is still maintaining a Medium-term bullish.